This is a new chapter for Death Cab for Cutie: the Seattle indie rockers' first record without founding member Chris Walla. Honing in on the sound that they create best, the band have taken a selective approach to their ninth studio album, Thank You for Today. 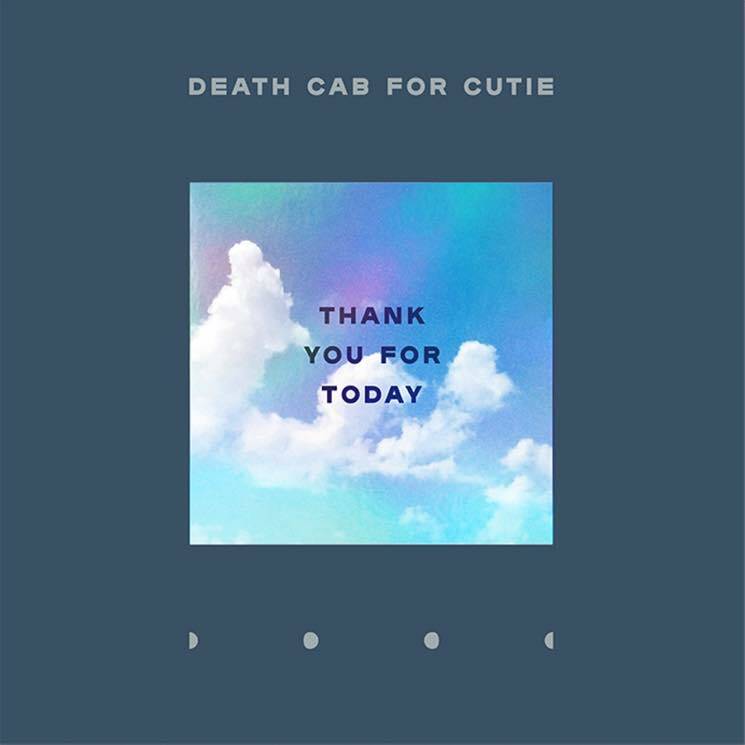 The album couples the familiarity of their pensive guitars and Ben Gibbard's evocative lyrics with sonic flourishes that add atmosphere. "Your Hurricane" is a carefully crafted lament, grounded by Nick Harmer's bass playing and Jason McGerr's precise drumming, while Gibbard asserts that he "won't be the debris in your hurricane." The band embrace melody on "When We Drive," its warm production and smooth chorus calming the listener. There is a real propulsion behind songs on this album, such as "Northern Lights," which is at once melancholic and tightly wound, featuring insistent rhythms and layered melodies. Gentrification, changing geography, and friends leaving are themes on Thank You for Today, but they're situated within lyrics that grapple with honest emotions and scenarios in a way that allows them to blend. Album opener "I Dreamt We Spoke Again" and lead single "Gold Rush" show a band with deepening confidence — the group's sonic experiments reveal the necessity of their two newer members, Dave Depper and Zac Rae. "I Dreamt We Spoke Again" is ensconced in synths and curious production, while the "Gold Rush" has a genuine swagger thanks to Gibbard's clever lyrics and a sample from Yoko Ono's "Mind Train."